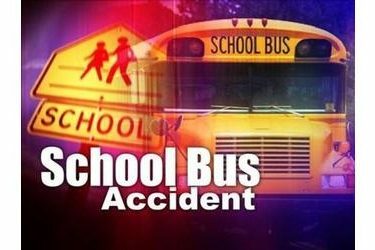 LAMPASAS, Texas (AP) – Authorities say a school bus carrying students from Oklahoma has rolled over along a central Texas highway. The crash occurred about 3:15 p.m. Saturday near Lampasas, about 61 miles (98 kilometers) northwest of Austin. Police in Lampasas say the bus carrying 27 passengers including students from Norman, Oklahoma, was traveling to San Antonio when it rolled over and struck a fence. Police say no fatalities have been reported but that some students were injured and have been taken to local hospitals. It was not immediately clear how many people were injured or the extent of their injuries. The bus was one of two buses carrying students from Cleveland Elementary School in Norman. The cause of the rollover crash was not immediately known.